Are ya'll enjoying the home tours??? We took a quick break last week - but we are back on now! We have 3 bathrooms. 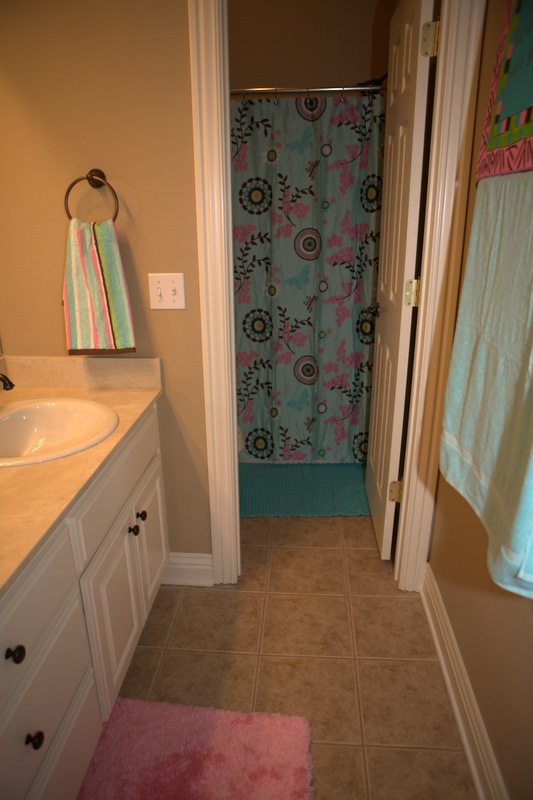 This is Harper and Hollis' bathroom. I just recently re-did it. I wanted it to look a little more "kid friendly". I re-did it before I knew if we were having a boy or girl so I made it blue and pink but I think it's kind of cute. 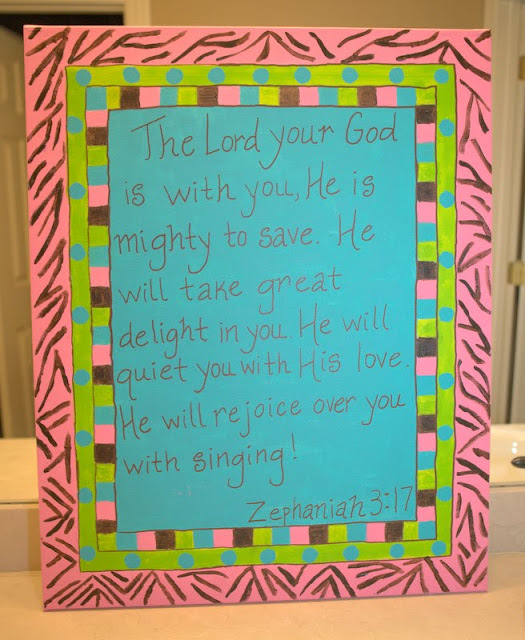 I painted this canvas with one of my VERY favorite verses to go in there. When Scott and I got married - we decided it was in the best interest of both of us to have separate bathrooms. ha! Best move we ever made. So this is Scott's bathroom. Honestly - it works so well for us. We can get ready at the same time and never argue over counter space or showers. Except when we go on vacations and have to share a bathroom - it throws us off. ha! ha! And this is MY bathroom (or the master bath). Do any of you have glass showers? They are SO hard to keep clean? I'd love to hear your tips if you have any! I'm afraid bathrooms (at least mine) aren't too exciting but I know some of you will have very interesting ones and it's always fun to peek!! !